Why I say so? 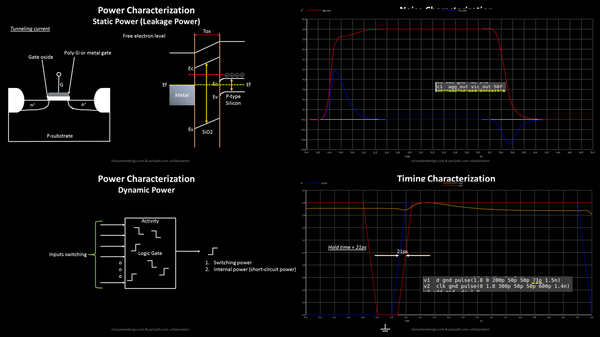 While starting to make my course on Library characterization and modelling – Part 1, I thought this would be more for advanced level people in semi-conductor domain or for professionals. Lately, when I started putting videos together in the course, me and few of people who already registered in this course, found out that this is exactly the course to be gone through just a day before your interviews. 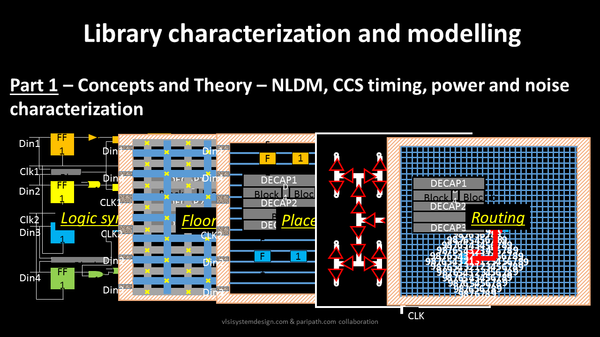 I reviewed the course and found out they were so right, as this course covers glimpse of physical design flow, static timing analysis, static circuit simulation, dynamic circuit simulations, leakage & switching power concepts, crosstalk glitch & delta delay concepts and basic delay of a cell. Isn’t that all needed to answer all or most of questions in an interview? Plus, you learn theory and lab in the same course. Plus you would know what lies in making of a chip from scratch. I think this course along with another course “VLSI – Essential concepts and detailed interview guide” are good enough for revision in a day or two, and you might just crack the dream interviews. Can you see noise glitch, static and dynamic power, library hold time, etc. in the above image? There are images from my Library characterization course. As I said….all in one…. Check out my course to find the answers for all….Happy learning!! Clock gating analysis – why, what, how?